If you want to know where to find the best food in town, ask a local. I grew up near Santa Monica and have early memories of my dad dropping me and my best friend off at the Third Street Promenade where we would spend our afternoons watching Adam Sandler movies and eating burgers. 20 years later, I still spend a good part of my week in Santa Monica - no, not watching Happy Gilmore or The Wedding Singer, but working in this iconic beach city everyday. A lot has changed in those two decades but my love for this city and a good burger has not. Watching the neighborhood change and transform into a mecca of dining and entertainment makes it easy to recommend Downtown Santa Monica as a destination for locals and tourists alike. I'm sure you're already familiar with the neighborhood's great restaurants, world-class shopping, unique street performers, and ocean views, but did you know that Downtown Santa Monica has some of the best burgers in the city? The burger game here is spot on. 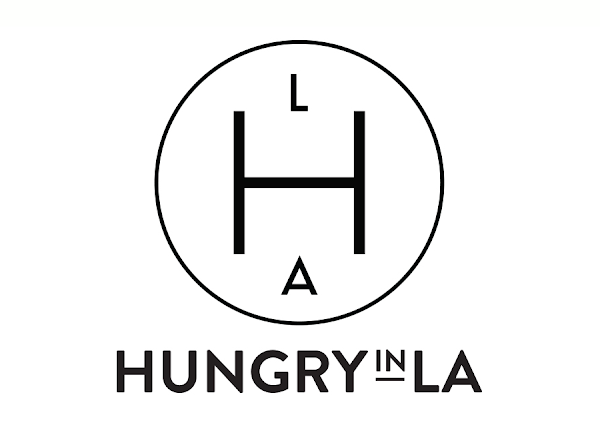 That's why I'm excited to partner with Downtown Santa Monica Inc to feature my top burgers in the area. I've done my research and below is my list of five must have burgers you need to try the next time you're in Downtown Santa Monica. Santa Monica Yacht Club - "SMYC Burger"
It might seem unusual to order a burger at a place that is well known for seafood, but Chef Andrew Kirschner's SMYC Burger is more than just an item to appease the seafood-adverse diner that ended up at Santa Monica Yacht Club. This hefty burger packs a lot of flavor thanks to the generously sized and perfectly seasoned beef patty. Crisp pancetta and a soft egg that provides a silky, golden yolk "gravy" if you will, is a great play on bacon and eggs. 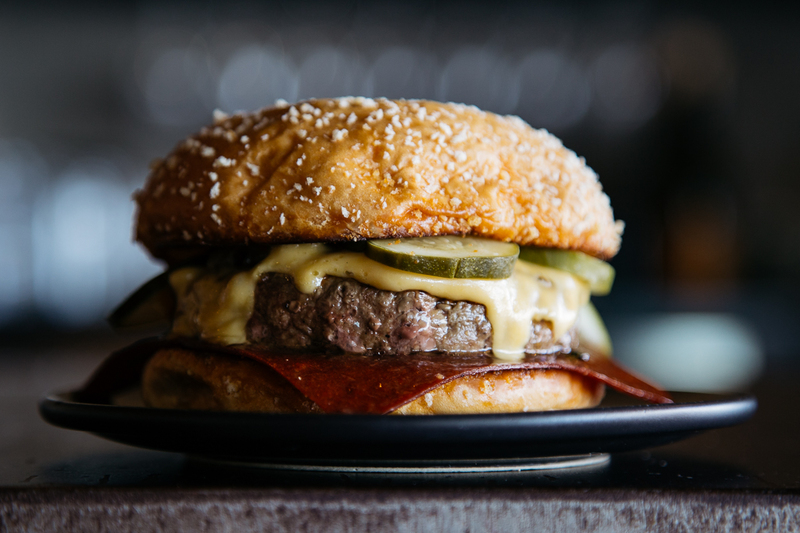 Along with a thick slice of cheddar, pickles, and garlic aioli, it all comes together to create a perfect burger with flavor in every bite. Fig Restaurant - "Fig Burger"
Fig Restaurant, located inside the Fairmont Miramar Hotel, is a beautiful Mediterranean-influenced bistro, featuring wood-fired dishes by Chef Yousef Ghalaini. Santa Monica locals love this place for brunch, after work cocktails, small bites, and of course a great night out. 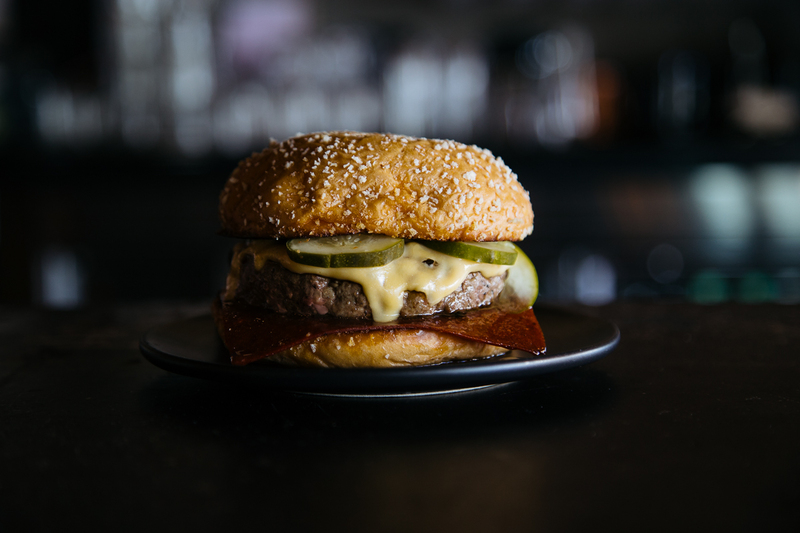 If you're not ordering the famous bread balloon for lunch, order the Fig Burger. A play on a classic SoCal-style burger, this one comes with lettuce, tomato, house-made special sauce (think Thousand Island without the relish), Fiscalini Cheddar and grilled onions. All this goodness is sandwiched between two pillowy soft buns. 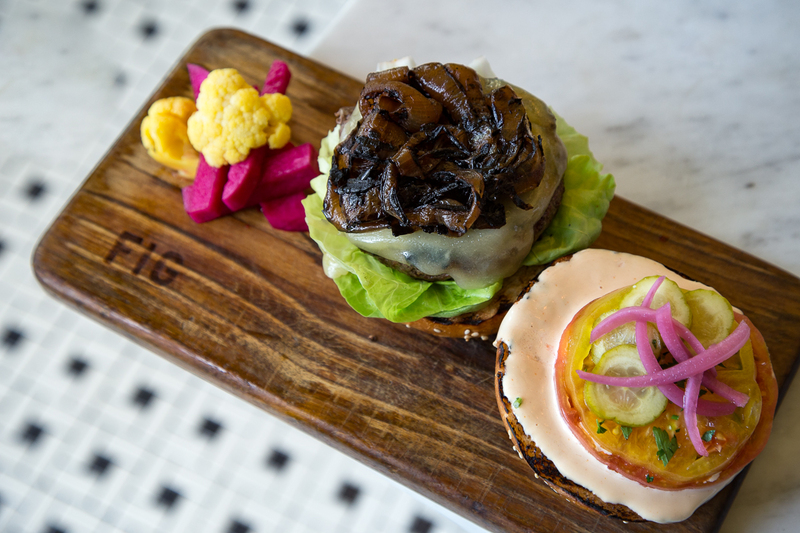 The Fig Burger is as close to perfect as you can get in Downtown Santa Monica without all the fuss of complicated toppings and flavors. Stout Burgers and Beers - "Stout Burger"
Redefining the idea of the local pub, Stout offers a vast selection of artisanal draft and bottled beers from around the world alongside their fine gourmet burgers. Located just a couple blocks from the famous Third Street Promenade, if the perfect pairing of a burger and beer is your thing, then you came to the right place. If you can't decide which burger to get, go with the Stout Burger that's topped with blue cheese, Gruyere, rosemary bacon, caramelized onions, horseradish cream, and roasted tomatoes. 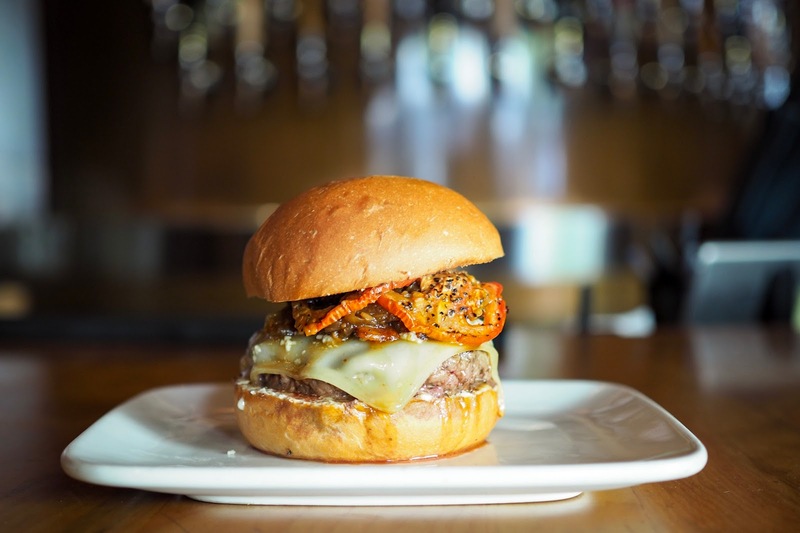 The menu recommends the best beer pairings to go with your burger and this one calls for a strong IPA that stands up to the bold and punchy flavors of this big burger. Maybe it's not what's in your burger that counts as much as what it is on. We talk about brioche buns, or pretzel bread, but what about putting a burger between two fresh-made waffles? 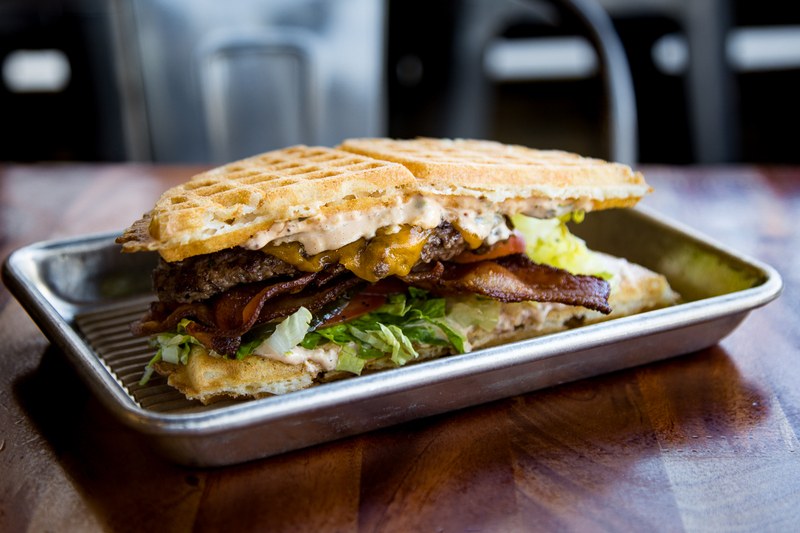 Yes, a waffle burger and you can find it at Bruxie on the Third Street Promenade! Two light crisp airy waffles house a very flavorful beef patty that's topped wth a Thousand-like sauce, pickles, shredded lettuce and tomato. It's the classic California style burger but dressed up for breakfast. 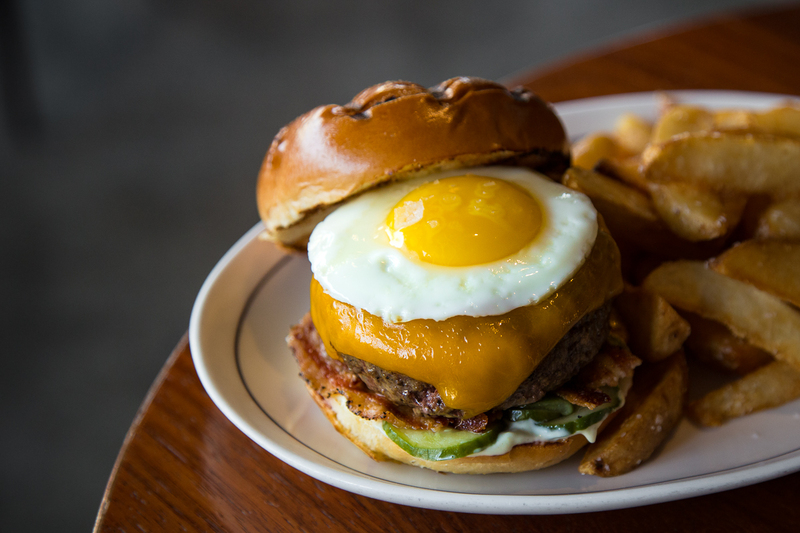 Add some bacon for smokiness and a fried egg and you have the ultimate brunch burger.